Are you thinking about bringing your e-cigarette on an airplane? All major airports and airlines in the UK and Ireland allow passengers to travel with their vaping devices and e-liquids. Before you pack your bags, though, you should know that there are several regulations you must obey when traveling with your vaping gear. Because they utilize both lithium-ion batteries and liquids, e-cigarettes are subject to stricter regulations at airport security checkpoints and on airliners than some other consumer electronics. To ensure that you’ll breeze through security – and that you won’t risk having any of your vaping gear confiscated – you need to pack your e-cigarette correctly. We’re here to help you get ready for a spectacular holiday. Let’s begin! Important Note: The information in this article is true to the best of our knowledge at the time of publication. Regulations regarding vaping on airplanes and at airports may change frequently and with little notice. It is your responsibility to familiarize yourself with all applicable laws before traveling with your e-cigarette or vaping gear. We accept no liability for incorrect or outdated information in this article. Can I Vape on an Airplane? No. According to the Civil Aviation Authority, you cannot vape in the cabin of an airliner flying to or from the United Kingdom. On British airliners, vaping is subject to the same public ban as smoking. In addition, you must obey the following rules when preparing your vaping gear for travel. Airlines may set their own rules for vaping devices in addition to the ones below, but these rules apply to all e-cigarettes on airplanes bound to or from the UK. Do not pack loose lithium-ion batteries – or e-cigarettes with or without batteries installed – in your checked luggage. All batteries and devices belong in your carry-on baggage due to the potential danger of batteries shorting and overheating in the luggage compartment. E-cigarettes are forbidden in checked baggage at all UK airports. To prevent a short circuit, cover the metal terminals of loose batteries with electrical tape. Alternatively, bring new batteries still in the original packaging. Batteries must have watt-hour ratings under 160 Wh. At the time of writing, no e-cigarette battery comes close to reaching that capacity. You can travel with a maximum of two loose vaping batteries. You can also carry a vaping device with batteries already installed. If device locks or has an on/off function, confirm that the device is off. If you intend to travel with a mechanical mod, remove the battery. A mechanical mod has no safety features, and the battery can overheat if another item in your bag pushes and holds the mod’s button. Incorrect transportation of mechanical mods is a leading cause of e-cigarette battery fires. If you’re flying on a plane with USB charging ports, you cannot charge your e-cigarette batteries in flight. Charge your batteries before traveling or use the charging facilities at an airport. You can bring e-liquid in your carry-on luggage as long as all bottles are 100 ml or smaller. However, the CAA advises you to pack liquids in your checked baggage if possible. Remember that if you have e-cigarette cartridges or tanks containing e-liquid, those items count as liquids. You’ll need to pack them with your other liquid items. Can I Travel Anywhere With My E-Cigarette? Do you plan to travel outside the UK? Before you pack your bags, take a moment to familiarize yourself with the below list. Although vaping is legal in most of the world, there are some nations in which e-liquid containing nicotine is banned. There are other areas in which vaping is entirely illegal. These destinations require special consideration if you intend to bring your vaping gear on a flight from the UK. If you’re traveling to some destinations, you can’t bring your e-cigarette at all. Note that, like in the UK, most nations forbid vaping where smoking is illegal, such as in enclosed public places. This list isn’t exhaustive, and laws can change with little notice. It is your responsibility to check the laws in your destination country before traveling. In nations that restrict vaping, the act of vaping isn’t illegal. However, you may have trouble finding e-liquid with nicotine. Bring extra e-liquid in your carry-on luggage if you visit one of these nations. Australia: You may import e-liquid with nicotine into Australia for personal use, and you can vape freely throughout Australia except in Queensland, where using e-liquid with nicotine is illegal. You cannot legally buy e-liquid with nicotine anywhere in Australia. Denmark: In Denmark, stores require permission from the government to sell e-liquid containing nicotine. However, the Danish government has not given that permission to any store – so you can’t buy e-liquid with nicotine in Denmark. Finland: You can bring e-liquid into Finland for personal use, but it must be in the form of e-cigarette cartridges with no more than 10 mg of nicotine or bottled e-liquid with no more than 420 mg of total nicotine. If you need to buy e-liquid in Finland, be aware that the permitted nicotine strengths are low, and the only flavour allowed in stores is tobacco. Japan: The government of Japan regulates e-liquid with nicotine as a pharmaceutical product. You can bring your e-liquid for personal use, but you cannot buy e-liquid with nicotine in Japan. Norway: You can bring e-liquid into Norway for personal use, but you can’t legally buy e-liquid with nicotine in Norwegian stores. If you intend to visit a nation in which vaping is illegal, you should not plan to bring your vaping gear. Be aware that some nations levy extremely harsh penalties on those who vape illegally. While in one of these nations, you should plan to use an alternative form of nicotine. Brazil: Vaping is illegal in Brazil. You can’t buy or use e-cigarettes there. Hong Kong: E-Cigarettes containing nicotine are illegal for sale or possession in Hong Kong. Singapore: Vaping is illegal in Singapore. You can’t buy or use e-cigarettes there. Thailand: Vaping is illegal in Thailand. You can’t buy or use e-cigarettes there. United Arab Emirates: Vaping is illegal in the UAE. You can’t buy or use e-cigarettes there. What Rules Do British Airlines Have About E-Cigarettes on Airplanes? Pack your e-liquid and all other liquids intended for your carry-on luggage in a single zip-top bag with a volume of no more than one litre. Present the bag separately when passing through the airport security checkpoint. Place the e-liquid – along with any other liquids that you intend to bring aboard – in one clear zip-top plastic bag measuring no more than 8x8 inches and holding no more than a quart. Close the bag fully and place it in your carry-on bag until you reach the airport security checkpoint. Remove the bag of liquids for separate examination when you reach the airport security checkpoint. Place all of your liquids in a single zip-top bag measuring no more than 8x8 inches. You can carry no more than 1,000 ml of liquids through the security checkpoint. Any liquids exceeding that amount need to be in your checked baggage. Place all of your liquids in a single zip-top bag measuring no more than 8x8 inches. You can put the bag in carry-on luggage intended for the overhead compartment or for under your seat. Airport security will screen your bag of liquids separately from the rest of your carry-in items. Flybe does not allow e-liquid bearing a skull-and-crossbones warning label on the package and may confiscate any e-liquid bearing that label. Carry your e-liquids – and any other e-liquids that you wish to bring in your carry-on luggage – in a single zip-top bag measuring no more than 8x8 inches. If you have additional liquids that won’t fit in the bag, you’ll need to bring them in your checked baggage. Flybmi requires that you obtain special approval for any batteries exceeding 100 Wh in capacity. At the time of writing, no vaping battery exists with a capacity above 100 Wh. Jet2 requires passengers to carry all liquids – including e-liquid – in a single zip-top bag measuring no more than 8x8 inches. Anything that doesn’t fit in the bag needs to go in your checked luggage. Jet2 allows passengers to bring a maximum of two vaping devices each. Any e-liquids that you wish to carry onboard must be placed in a single zip-top bag measuring no more than 8x8 inches. The bag will be inspected separately from your other carry-on luggage when you reach the airport. Pack your e-liquid and any other liquids that you intend to bring in your carry-on baggage in a single zip-top bag holding no more than one litre. Your bag of liquids will be scanned separately from your other carry-on items by airport security staff. In addition to your carry-on baggage, Thomas Cook allows you to transport a vaping device on your person. Carry your e-liquids and all other liquids in a single resealable zip-top bag that you can remove from your carry-on luggage for separate scanning at the security checkpoint. Any liquids that can’t fit in a single one-litre bag must travel in your checked luggage. Any e-liquid and other liquids traveling in your carry-on baggage must be sealed in a zip-top bag measuring no more than 8x8 inches. You’ll present the bag of liquids separately from your other carry-on items when you pass through the airport security checkpoint. In addition to your carry-on baggage, Virgin Atlantic allows you to transport a vaping device on your person. Can I Vape at UK and Ireland Airports? The United Kingdom public smoking ban prohibits smoking in all enclosed indoor spaces. Although the law doesn’t specifically mention e-cigarettes – the law came into force in 2007, before e-cigarettes were readily available – you should assume that you can only vape in an airport’s designated smoking areas unless the airport’s policies specifically say otherwise because most airports’ smoking policies lump smoking and vaping together. As of 2018, no major airport in the UK or Ireland allows vaping outside designated smoking areas. Be aware that in many cases, an airport’s smoking areas will be outside the security perimeter. If you decide to utilize those facilities, you’ll have to go through the security checkpoint again upon re-entering the airport terminal. If you’re on an international flight with a connection at a British airport, you’ll need to enter the United Kingdom through customs before utilizing a smoking area outside the security perimeter. In addition to the designated smoking areas outside the terminal, you can vape at Aberdeen Airport in two areas after entering the airport. The first area is at the Granite City Beer Garden before the security checkpoint, near the Arrivals Concourse. The second smoking area costs £1 to use and is after the security checkpoint. You’ll find it near The Kitchen and Gate 6. You can vape at Belfast International Airport after going through security. 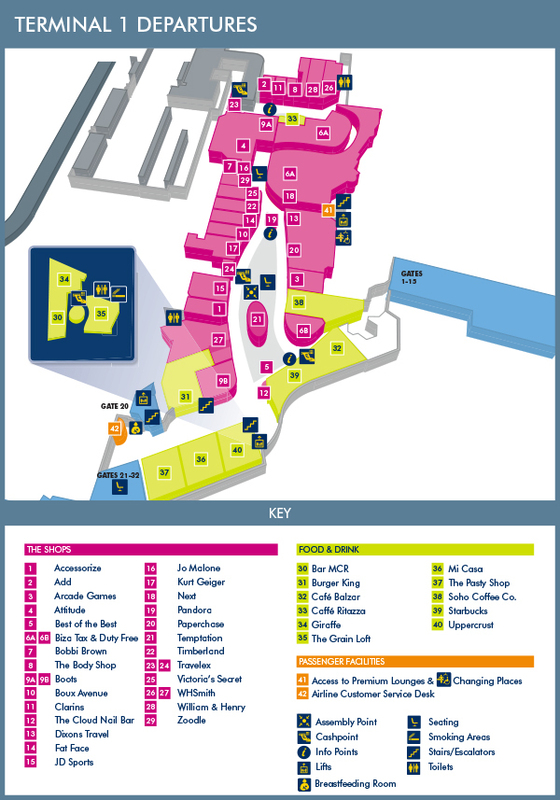 You’ll find the designated smoking and vaping area near the Lagan Bar. Note that you’ll need to pay £1 to use the facility. Birmingham International Airport has one designated smoking and vaping area after the security checkpoint. You’ll find it in the departures area of the terminal, through Factory Bar and Kitchen. The smoking area is available to Factory Bar customers only. You can vape at Bournemouth Airport without leaving the security perimeter. After passing through the security checkpoint and the World Duty Free store, turn right to find the smoking area. You can vape at Cardiff Airport after going through the security checkpoint. Look for the sign near Gate 2. You cannot vape at Cork Airport anywhere inside the terminal. You’ll need to enjoy your last vape in a marked outdoor smoking area before entering Cork Airport. You can vape after going through the security checkpoint at Dublin Airport. Look for the Garden Terrace Bar in the upstairs food court of Terminal 1. The Garden Terrace has an outdoor area in which smoking and vaping are permitted. You can get from Terminal 2 to Terminal 1 without leaving the security perimeter. You cannot vape or smoke anywhere past the security checkpoint at East Midlands Airport. You’ll need to enjoy your last vape in a designated smoking area outside the terminal. There are no smoking or vaping areas within the security perimeter at Edinburgh Airport. You’ll need to enjoy your last vape in a designated smoking area before entering the terminal. You cannot vape at Exeter International Airport after entering the terminal. You’ll have to enjoy your last vape in the smoking shelter in front of the terminal. You cannot vape at George Best Belfast City Airport anywhere within the terminal. You’ll need to enjoy your last vape before entering the airport. There are no airside smoking or vaping areas at Glasgow Airport within the security perimeter. You’ll need to enjoy your last vape in an outdoor landside smoking area before entering the terminal. You cannot vape at Guernsey Airport anywhere within the terminal. You’ll need to enjoy your last vape before entering the airport. You cannot vape at Inverness Airport after entering the terminal. Enjoy your last vape in the outdoor smoking area at the southern end of the airport. You can vape at Ireland West Airport after going through the security checkpoint. You’ll find the smoking area in the Eatwest restaurant in the departures section of the terminal. You cannot vape at Isle of Man Airport anywhere within the terminal. Enjoy your last vape before entering the airport. You cannot vape at Jersey Airport anywhere within the security perimeter. You’ll have to enjoy your last vape outside before entering the airport. 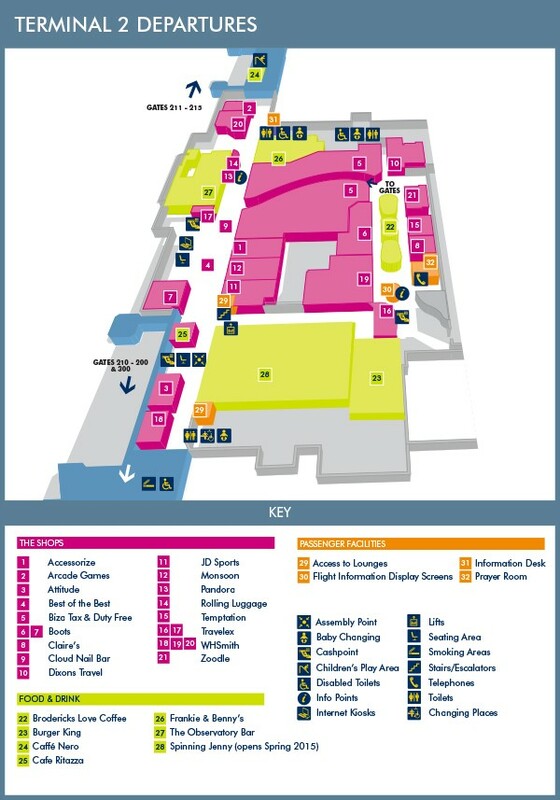 You can vape at Leeds Bradford Airport in a ground floor smoking area near gates 7-8 and down an escalator flight from the entry to gates 4-5. The smoking area is next to The Beer House. Access costs £1. You can vape after going through the security checkpoint at Liverpool John Lennon Airport. To find the smoking area, proceed toward gates 30-43 on the first level of the terminal. You will pass The Kissing Gate on your left and The Estuary on your right. The smoking area provides heating and protection from weather, but it offers no seating. You cannot vape at London City Airport once you pass the security checkpoint as LCY has no airside smoking areas. You’ll have to enjoy your last vape in one of the marked outdoor smoking areas before entering the terminal. London Heathrow Airport has a designated smoking area on Level 2 of Terminal 4. Turn left after passing the security checkpoint. On your left, you’ll pass Harrods, Cartier, The Commission Restaurant and Burberry. The hallway leading to the smoking area is between Burberry and World Duty Free. The Terminal 4 smoking area is the only designated smoking area at London Heathrow within the security perimeter. You’ll also find a smoking area outside the ground floor entrance of Terminal 3. If your flight doesn’t depart from Terminal 4, you’ll need to enjoy your last vape before going through security. London Gatwick Airport has no smoking areas within the security perimeter. You can vape in the designated smoking areas outside the terminals. London Luton Airport has no designated smoking or vaping areas within the security perimeter. You’ll need to enjoy your last vape in the designated area outside before entering the terminal. According to the official FAQ, there is one designated smoking and vaping area within the security perimeter at London Stansted Airport. Follow the signs or ask an attendant for help finding the area. Otherwise, you’ll need to enjoy your last vape in one of the designated smoking areas outside the terminal. Manchester Airport has two designated smoking and vaping areas within the security perimeter in Terminal 1 and Terminal 2. In the departures area of Terminal 1, you can vape in the upstairs smoking area near Gate 20. The businesses near the smoking area include Bar MCR, Giraffe and The Grain Loft. In the departures area of Terminal 2, you’ll find the smoking area near gates 210-200 and 300. You can vape at Newcastle Airport after passing the security checkpoint. You’ll find the smoking area in Bar 11 near the Cabin Bar and World Duty Free. The smoking area is available to Bar 11 customers only. You cannot vape at Prestwick Airport anywhere after you have gone through the security checkpoint. You’ll need to enjoy your last vape before entering the airport. You can vape airside at Shannon Airport in a smoking area near the departure lounge. After passing through the security checkpoint and gift shop, turn right and head down some stairs. The smoking area is a covered, secure outdoor area frequented by US military personnel who often stop at Shannon en route to the Middle East. You cannot vape at Southampton Airport anywhere within the terminal. You’ll need to enjoy your last vape in a designated outdoor smoking area before entering the airport.